Why Should I Get Residential Asphalt Paving? How many mornings have you woken up, stood still, and appreciated the sun? Let me guess- very rarely. Human beings are such that we take for granted the commonly occurring things regardless of how important they are. There are also plenty of man-made things that have made our lives convenient. We rarely stop to appreciate their existence as an essential part of our lives, and one of them is asphalt repair. Modern civilization is built on transportation and communication. Every day, thousands of trucks, buses, and cars carry people, goods, and produces to different destinations and the underlying silent enabler of all these activities are asphalt and asphalt-paved roads. People don’t care much about them, but at a professional level, driveway paving is as much an art as it is science. 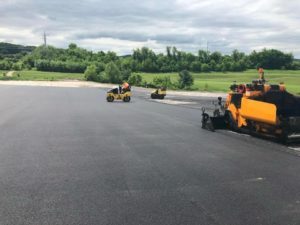 Whether you are a homeowner, businessman, real estate developer, or a state governor, one time or another, you should consider residential asphalt paving for your driveway, parking lot, roads and highways. Why has asphalt become the most common construction material of all? The reason is simple. It is very cost effective. Professional asphalt and paving companies make sure that the materials used in the mix are acquired as locally as possible. According to statistics provided by American Road and Transportation Builders Association, 94% of the roads and highways in the United States are asphalt-paved simply because it is relatively cheaper. Aside from being affordable, one other thing that puts asphalt paving to the top is its durability. Professionally paved asphalt lasts a long time and can endure different weather conditions. That’s why you can see asphalt paved roads everywhere from frozen Iceland to the tropical Philippines. The reason for its durability will be discussed later in this topic. Did you know that asphalt is up to 100% recyclable? This feature of asphalt is compliant with any county’s environmental laws. The recyclability of asphalt is another reason for its affordability. A damaged asphalt surface can be repaved again and again with little or no added materials. All it requires is the labor cost. If damaged, asphalt can be repaired with relative ease. We have discussed how asphalt is recyclable. That means broken pieces of asphalt pavements can be reheated and reused to repair damages. Road accidents can be prevented and reduced significantly by professional asphalt paving. Properly paved roads are less slippery in winter and rainy seasons. If people follow the speed limits, markings, and road signs, there is almost zero chance of road accidents. Asphalt paving increases visibility for the roads and driveways. The dark color of bitumen is a good contrast to all most all the other colors found in nature and in a city, so the roads are highly visible during the day. At night, the problem for the paving process isn’t just about asphalt itself. The roads, driveways and the parking lots can be painted with oil based white and yellow colored lanes making the roads well-visible at night. Asphalt technicians can also install metal reflective devices that shine brightly in front of headlights. Residential asphalt paving provides the right amount of grip for the tires rain or shine. For that reason alone, there is no alternative to asphalt for surfaces that experience extreme frictions such as airport runways and racetracks. So you see asphalt is the guardian that allows safe landings to thousands of planes all over the world in all weather conditions. While some calculation is involved in paving an asphalt surface, the actual paving process is really very quick. The road is ready for use within a few minutes after the last roll. Unlike cement in concrete, asphalt hardens really fast saving a lot of time. Asphalt is a well-balanced material. Professionals in the asphalt business will make sure of that. Different from concrete, the asphalt glue that binds the gravel together is a petroleum-based crude oil called bitumen. Heated, it is a semi-soft liquid. When cooled, it hardens quickly but still retains its liquid-like properties. This feature gives it a rubbery texture that is both hard and soft. While concrete is essential for vertical structures such as buildings and houses, asphalt is the most idea for horizontal surfaces. So you should consider nothing other than asphalt when paving your roads, highways, parking lots or driveways. Maintenance for asphalt pavements is very easy. There are distant roads and highways in the middle of the desert that require no maintenance at all. However, the inner city roads and an asphalt driveway in your house do need little maintenance just for cleanliness. It is as easy as throwing some water over the surface and it will take care of itself. Experts in asphalt paving make the surfaces slightly sloped by default, so water can just slide away. Because asphalt is petroleum based, it doesn’t absorb water and very quick to dry. This property also stops other organic molecules to grow. That’s why we don’t see molds on asphalt surfaces. For concrete, on the other hand, it is common as cement absorbs water. One of the properties that made asphalt the number one choice for roads and highways is that it is easy to remove and replace. Most often several other city systems follow the roads. These include electrical, water and sewer systems. If any of those systems need improvements or repairs, asphalt can be easily removed from that portion and replaced after the jobs are done. If it ever happens that the asphalt pavements have cracks or hole after being used for a long time under harsh conditions, resurfacing process to fill the holes is not difficult at all. Professional asphalt pavers can just heat some mixture, pour in the holes, and roll over them for a few times and within minutes, the surface is as good as new. Asphalt is very flexible. Depending on the need, the mix, the size and the thickness of a pavement are carefully determined by professionals, so your asphalt driveway, an inner city road, a high-speed highway, and a heavy impact airport runway are not the same. They are custom-made and with asphalt, it is easier to do than any other materials. Since asphalt is petroleum based, it can absorb oil-based liquids such as engine oil, brake fluid, transmission fluid and other harmful materials that a faulty vehicle may discharge. This prevents the pollutants to wash away and reach the soil and fresh waters keeping the environment safe for people, animals, and plants. This is another environmental benefit of asphalt paving. Due to its composition and dark color, it has the ability to absorb heat during the day and keeps the surrounding cool. It also radiates the heat out at night and keeps the surrounding area warm. If a certain city was paved with concrete, the white and reflective color would have made the summer temperature unbearable for humans to walk around. Asphalt pavements are weather and season friendly. Due to its rubbery property, it stays intact both in summer and winter. We all know that heat expands and cold contracts things. For asphalt, it is not a big deal. It can accommodate both the seasons. And since it doesn’t absorb water, rainy season is not a problem either. Of course, depending on the weather and seasons of a particular area, the asphalt professionals prepare the mixtures differently. This is where the scientific part of asphalt paving comes to work. Common people don’t see it, but there are some calculations involved while preparing the mix of gravel and bitumen. Asphalt paved roads and driveways are very smooth that give travelers a comfortable ride while driving. For this reason, asphalt roads and asphalt driveways are also quieter, which reduces noise pollution. Grass and plants usually protect land from erosion in nature, but if cars pass through a certain area regularly, grass can’t grow and leaving the land bare. Without protection, land erosion occurs during the rainy season. Also, unpaved roads and driveways during the rainy season can be really uncomfortable to drive on. Asphalt paved driveways protect the land and add to the safety of the cars at the same time. Due to its smooth texture and proper tire grip, asphalt paved roads and highways significantly reduce car emissions. The engine does not require much energy to push the vehicle, so not much exhaust gases are produced. Because it is quick to harden, road constructions do not take much time and in a busy city, this is a relief since traffic jams during road construction is very common. Asphalt road paving can be done with one lane open and once it’s done, the workers can quickly switch and do the other lane. Other paving methods do not allow that flexibility. Believe it or not, asphalt roads and driveways can help solve many health issues. Human lungs do not respond well to dust. Nature has a way to protect us from this. In places such as parks and lawns, grass prevents dust from flying around, but grass or other plants won’t grow in places frequented by vehicles. 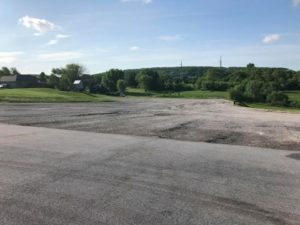 As a result, unpaved roads, driveways, and parking lots are health hazards. If you do not have a paved driveway, you will see dust particles piling up in your bedroom, kitchen and living room. On the other hand, asphalt paved driveways and roads keep the surrounding environment dust free. When you drive your cars on properly paved surfaces, you can be sure that your car is safe. It expands your car’s life and protects it from unnecessary damaged to the under chassis and suspensions. Professionally paved roads, highways, and driveways do not only make life comfortable but also add to the beauty of an area. Dark color goes well with any color and design theme. Have an asphalt driveway and make your house look awesome. 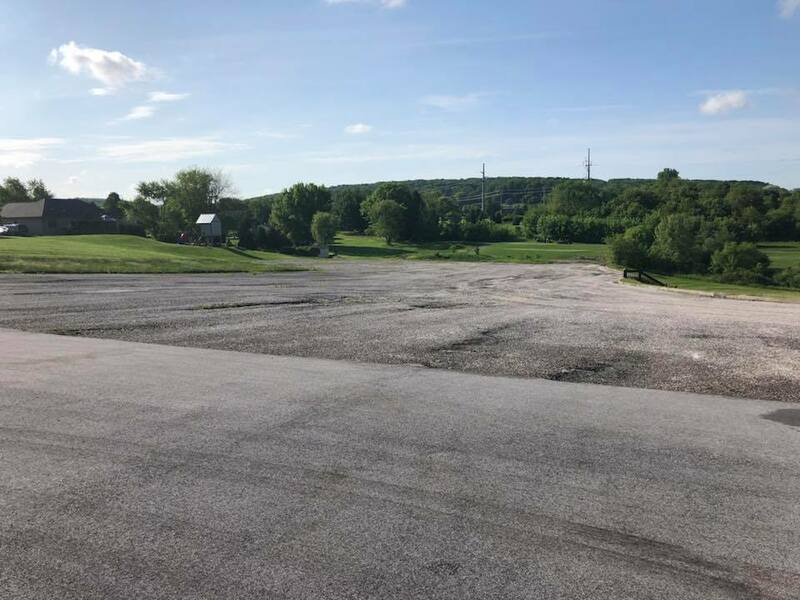 According to real estate experts and developers, having asphalt driveways, and parking lots can help increase the value of your property by 10% if you decide to sell it. Unpaved and broken driveways won’t attract that many buyers. The technology for asphalt paving doesn’t stay the same all the times. Many types of research have been going on for more than a hundred years. As days go by, asphalt production, mixing, and applications improve. There are hundreds of research works and test results that can be found. One significant institute is the Auburn University National Center for Asphalt Technology. Though unknown to common people, professionals keep themselves updated with the current developments. Asphalt technology keeps up with other modern technology. The American Planning Association (APA)) has even developed a software that can determine the thickness, mix ratio, and application methods of a certain asphalt pavement once you input variables such as load capacity, weather, temperature and such, so you can say asphalt paving is a futuristic technology and it is not going away any time soon. If you think that people just mix, apply and roll asphalt, you are in for a big surprise. It is not like this at all. The Federal Highway Administration conducts tests and regulates the production, mixing, and application of asphalt to make it more environmentally friendly. Professional asphalt manufacturing and paving companies also follow the guidelines of the Environmental Protection Agency (EPA). Unlike concrete paving, professional asphalt paving is less labor intensive work. It is more technical where machines do most of the jobs thereby making it very efficient. Other paving methods also use machines, but asphalt paving machines are flexible and can operate in difficult landscapes. Because it is fast and easy and the machines are portable, asphalt is the choice for difficult landscapes. That’s why we see asphalt roads to go over the mountains, through the deserts, and into the frozen lands. Asphalt can pave anything anywhere. After all these, there should be no doubt that asphalt paving is an essential part of our everyday life. 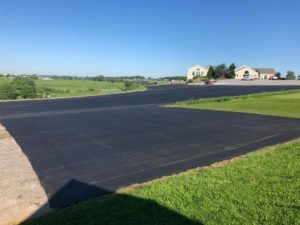 There is no better time to have your new asphalt driveway installed than now, and if you are living in Pennsylvania, Willie’s Paving is at your service.